Un Amore Eterno is part of the Profumi d’Amore Exceptional Collection, where each of the three fragrances in the collection have been designed to evoke the different chapters of a love story – from the very first moment where passion is ignited, Amore Mia (My Love), to a declaration of love, Ti Amo (I Love You), ending with a love affair that lasts forever, Un Amore Eterno (I Will Love You Forever). 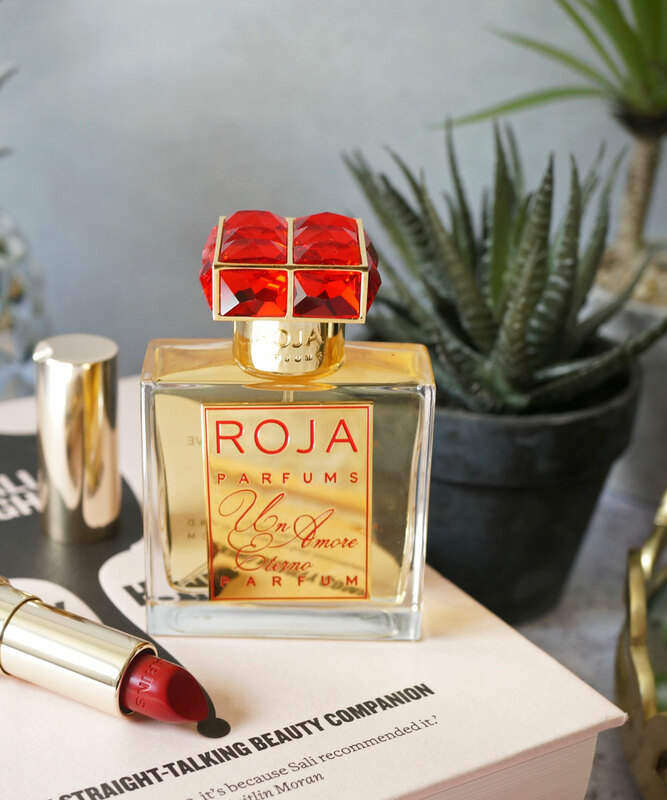 Each fragrance is a passionate love letter in fragrant form, housed in a beautiful bottle adorned with red jewels – these fragrances would make the perfect gift for a loved one on a special occasion. The collection follows the order of a poem and what I hope you notice is that as the proclamations of love become more pronounced and passionate, so do the depth of raw materials, growing richer and more sensual in each creation. 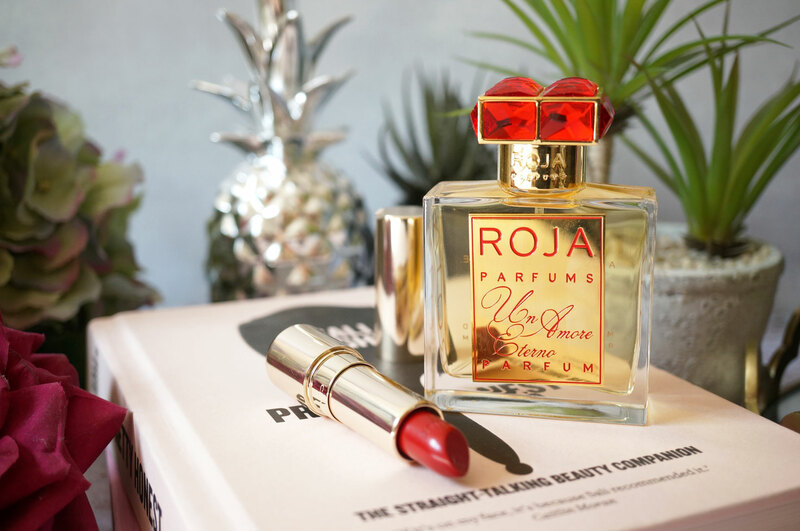 – Master Perfumer Roja Dove. Every perfume I make has a story and I bring that story to life through a carefully crafted composition of the finest quality raw materials. This collection plays out a harmonious love story of burning passion and romantic tenderness. Ambergris, Cocoa and Vanilla are found at the core of all three. These materials are highly addictive to the senses in the same way as when you meet someone and fall in love with them, you quite literally become addicted to them. Stimulating Ginger is also present in each, as is a prominent note of Orris— which comes from the legendary Florentine Iris. 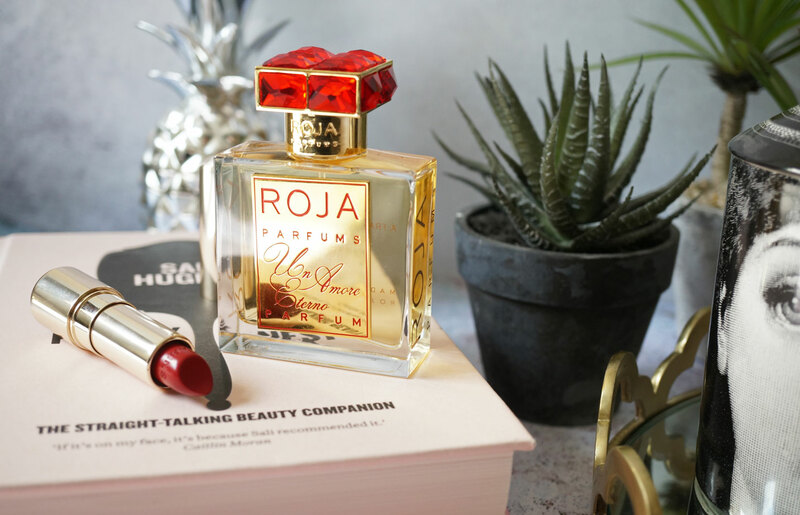 – Master Perfumer Roja Dove. 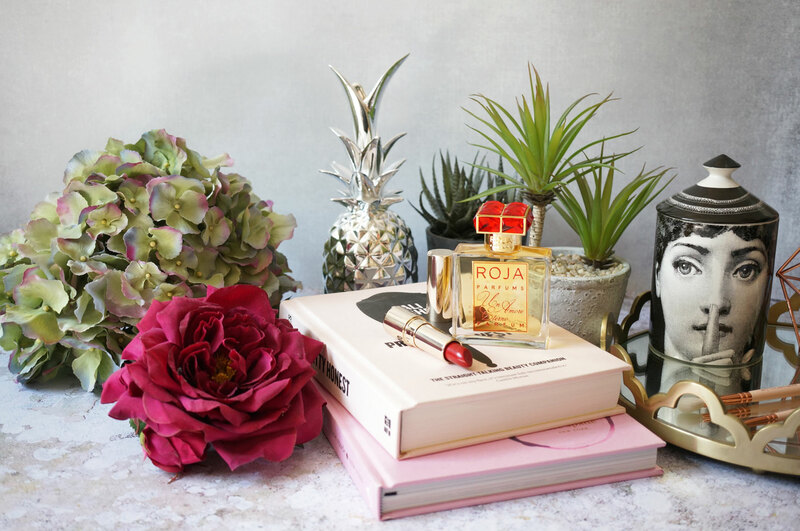 Un Amore Eterno really is everything you’d expect and more, it’s such a beautiful oriental scent, that’s both rich and gourmand, as well as soft and powdery. 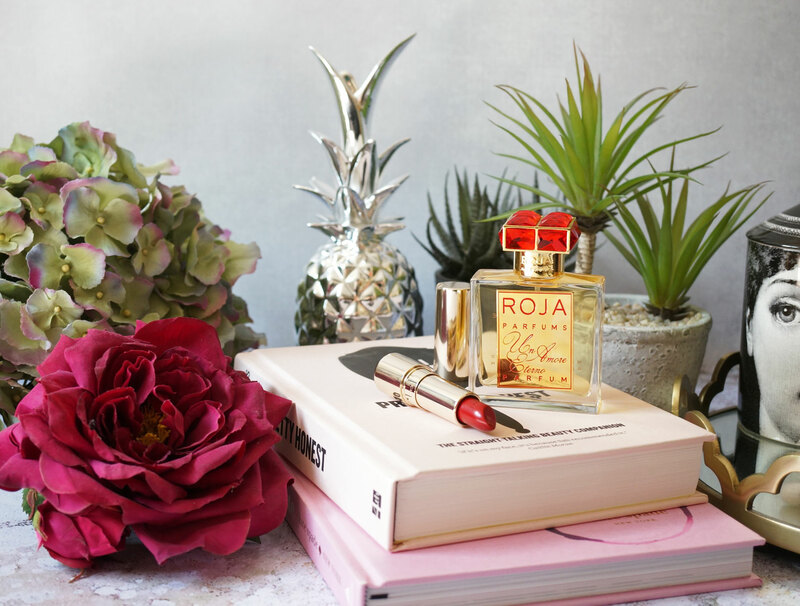 The fragrance opens with a light hint of lemon, which leads to a wonderful floral heart of Rose de Mai, Jasmin de Grasse, Tuberose, Heliotrope and Violet. The base has more notes than you can shake a stick at, starting with Ginger, Clove, and Saffron, there’s also a lovely warming notes of Patchouli, Cedar and Casmir Woods, as well as edible Vanilla, Coffee, and Cocoa. The base is rounded off beautifully with Orris, sensual Ambergris and Musk, giving the fragrance a powdery and alluring finish. Un Amore Eterno is just so elegant, rich and inviting, it’s literally a feast for the senses with it’s wonderful notes of Cocoa, Coffee, and creamy Vanilla and Orris. If you’re a lover of intense gourmand fragrances that smell good enough to eat, then you really must try this. Heart Notes: Rose de Mai, Jasmin de Grasse, Tuberose, Heliotrope and Violet. Base Notes: Ginger, Clove, Saffron, Patchouli, Cedarwood, Casmir Wood, Coffee, Vanilla, Cocoa, Orris, Ambergris and Musk. Un Amore Eterno is available now at Roja Parfums.